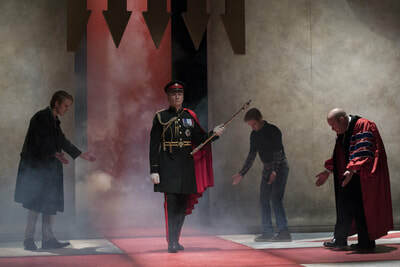 His time has finally come. 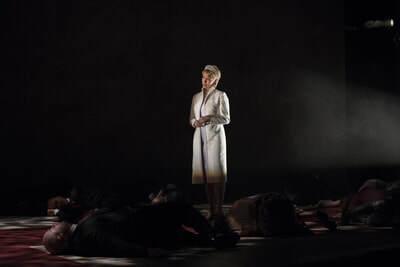 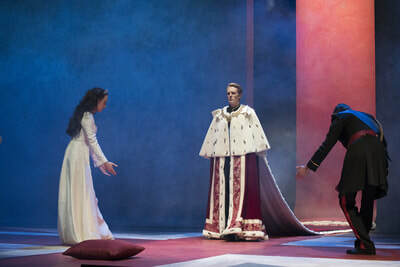 The queen is dead and Charles ascends the throne, at last. But is he ready for the monarchy or anarchy? 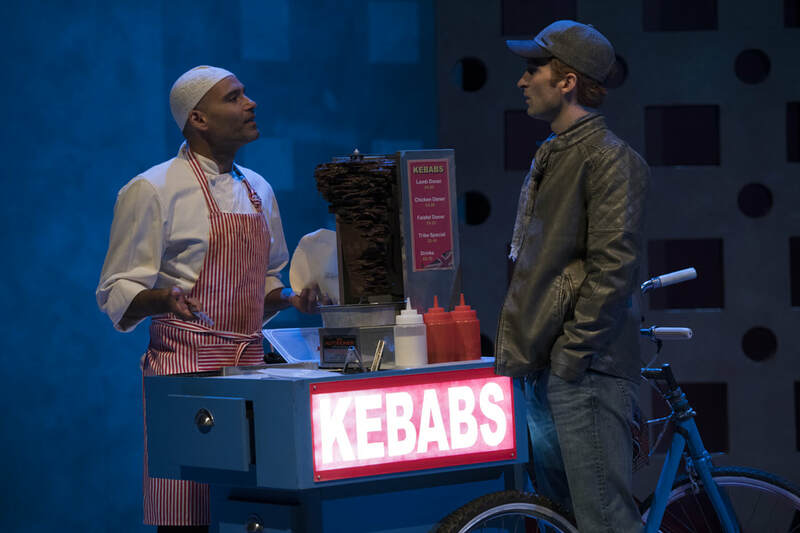 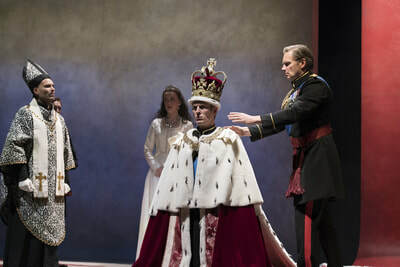 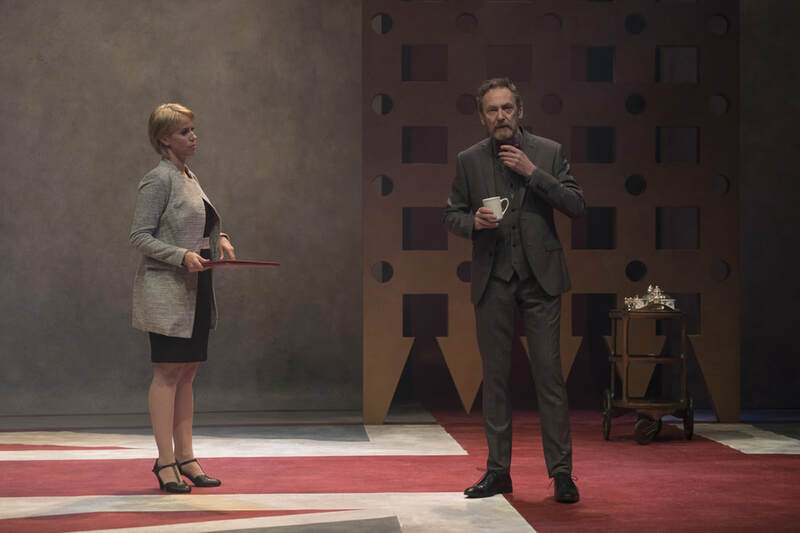 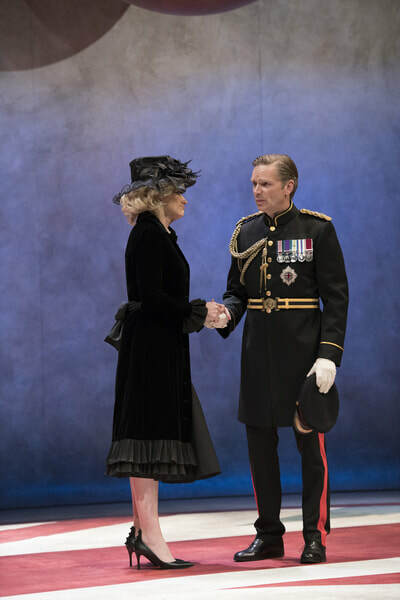 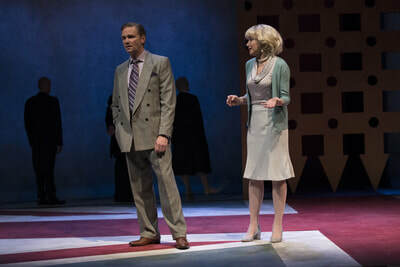 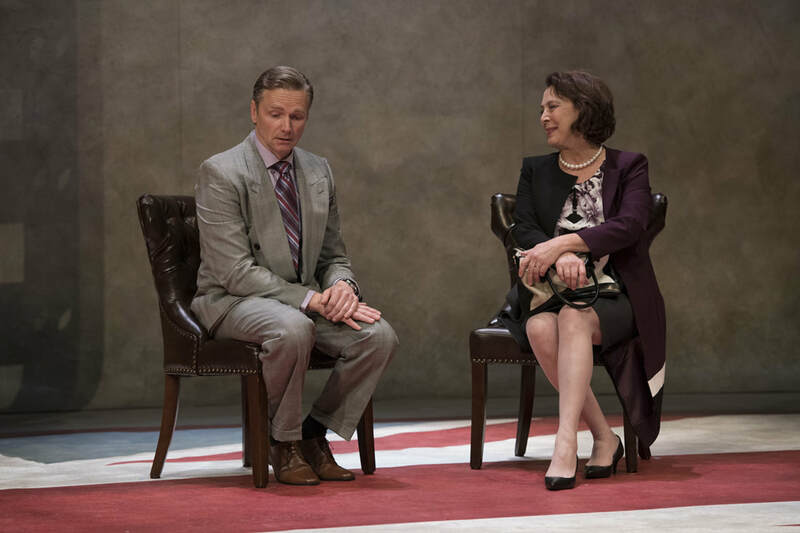 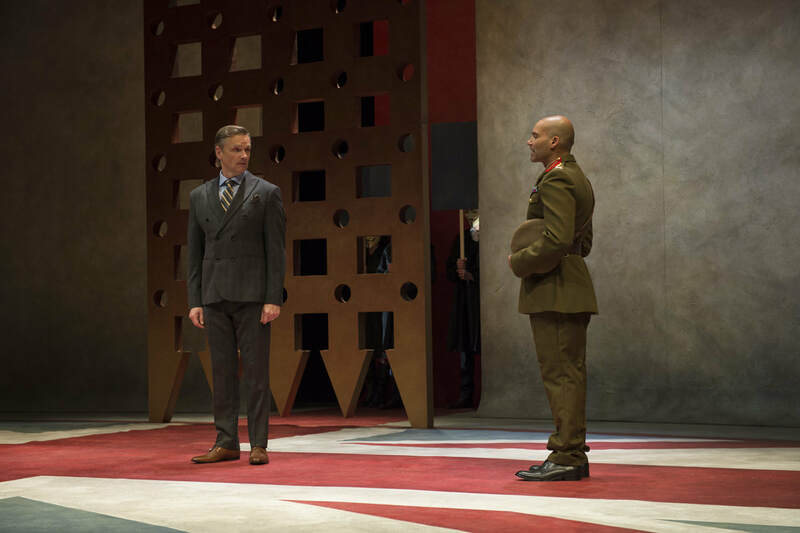 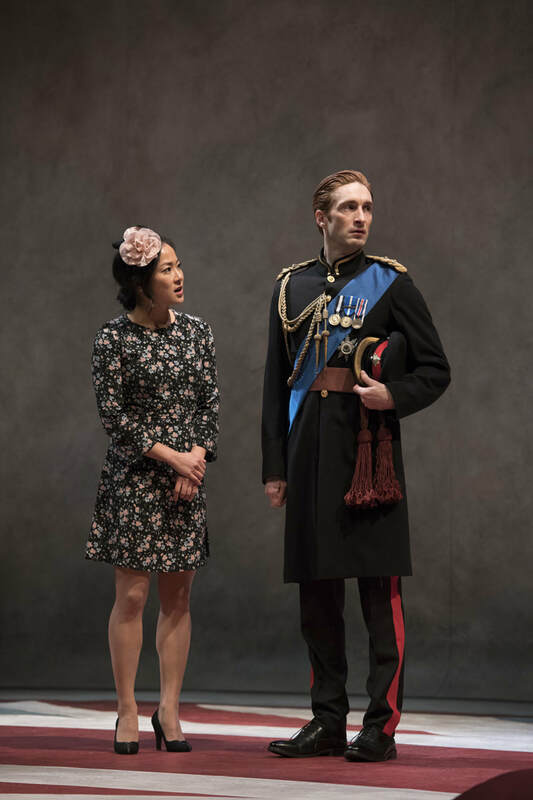 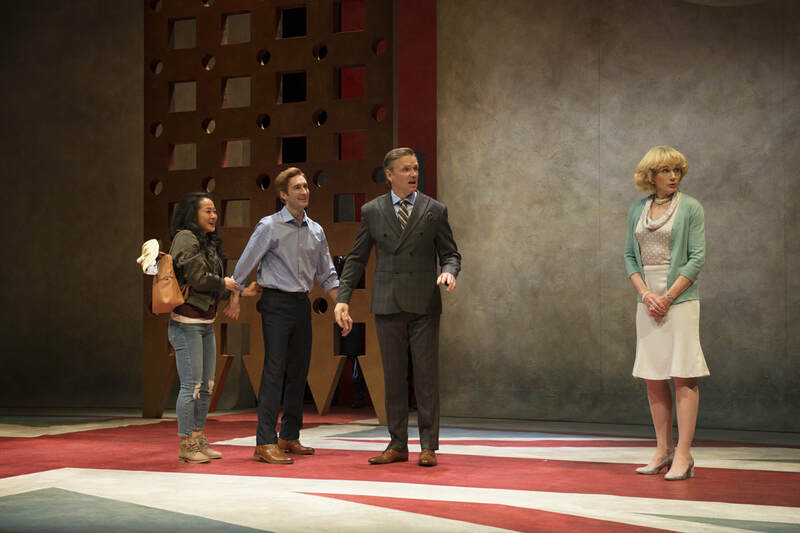 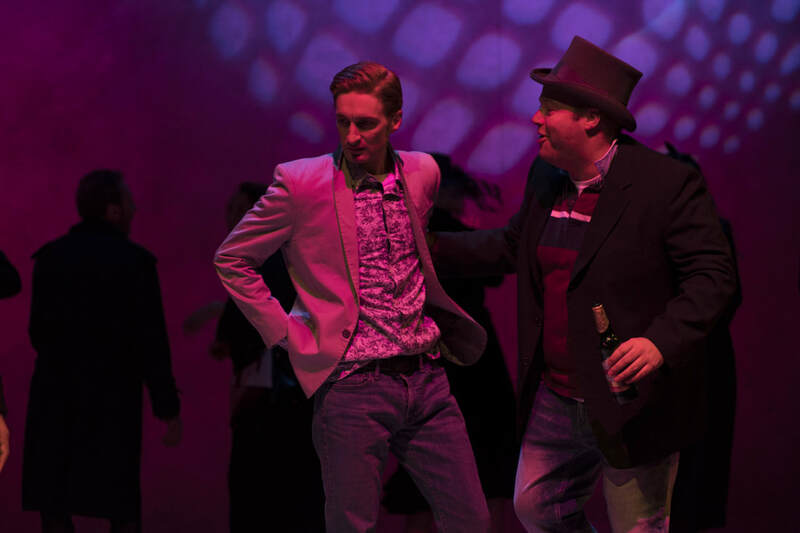 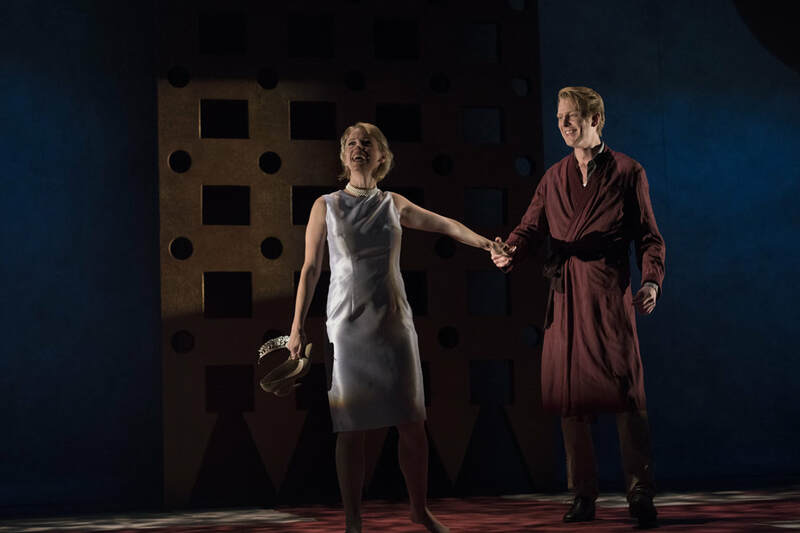 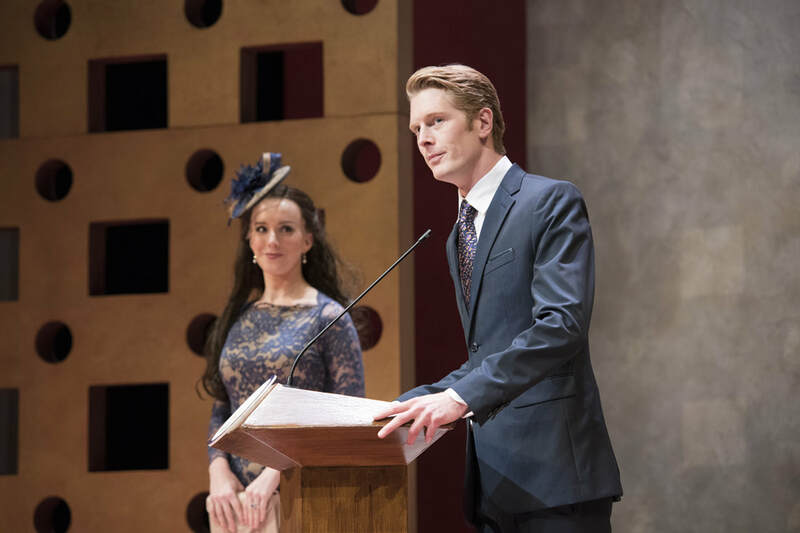 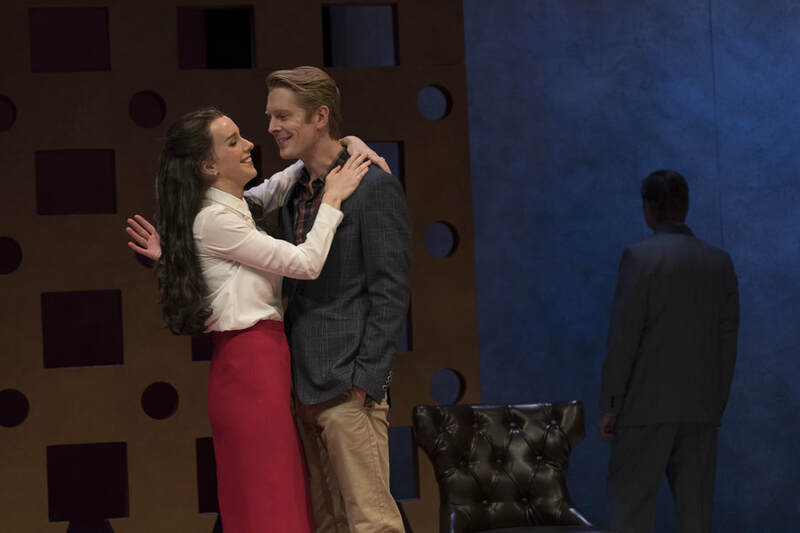 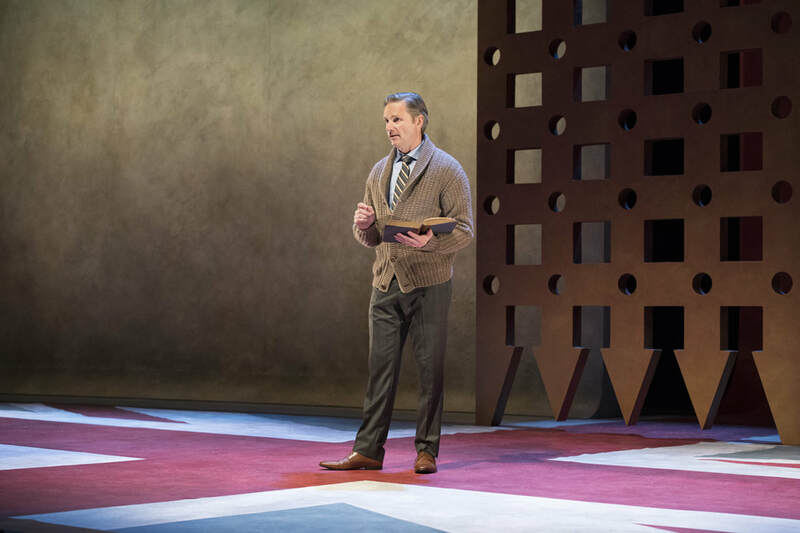 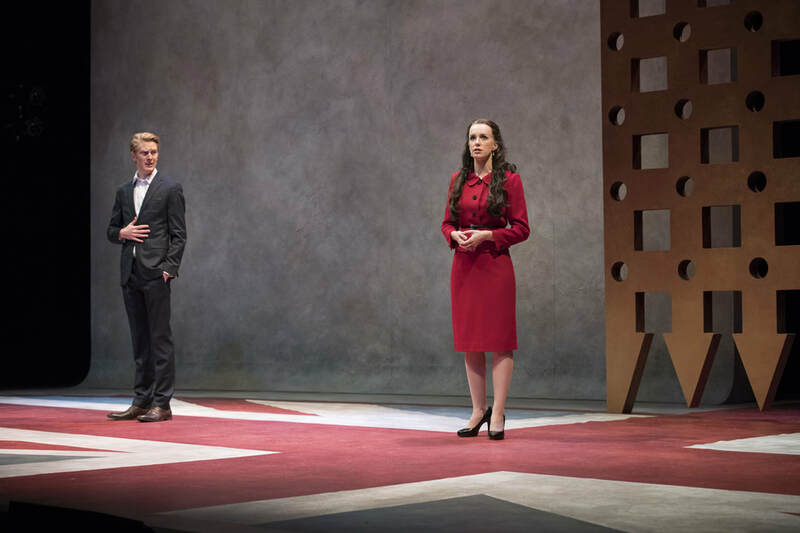 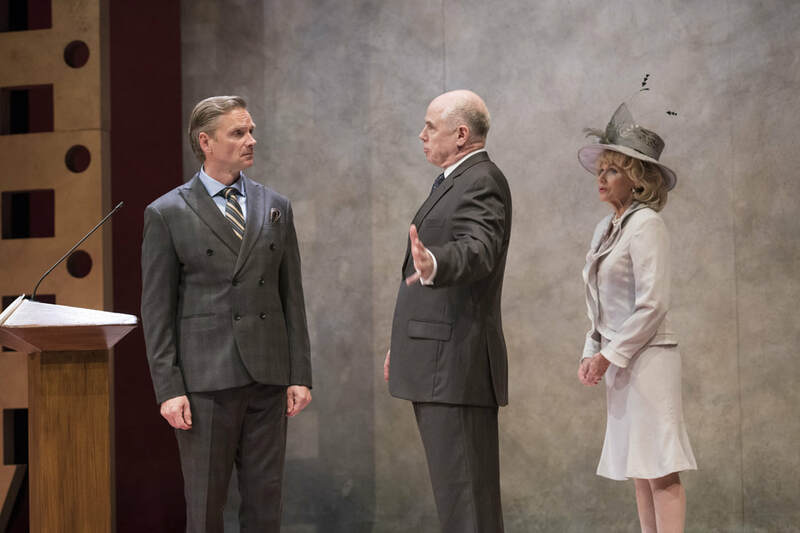 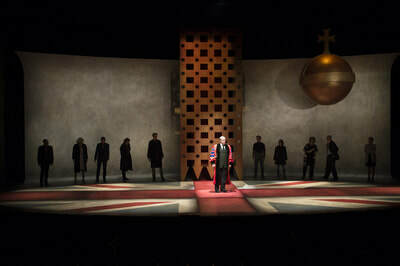 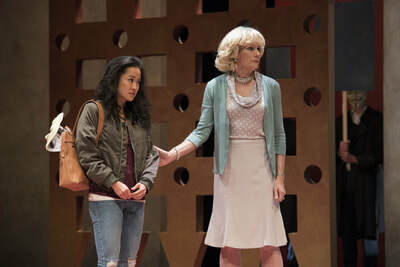 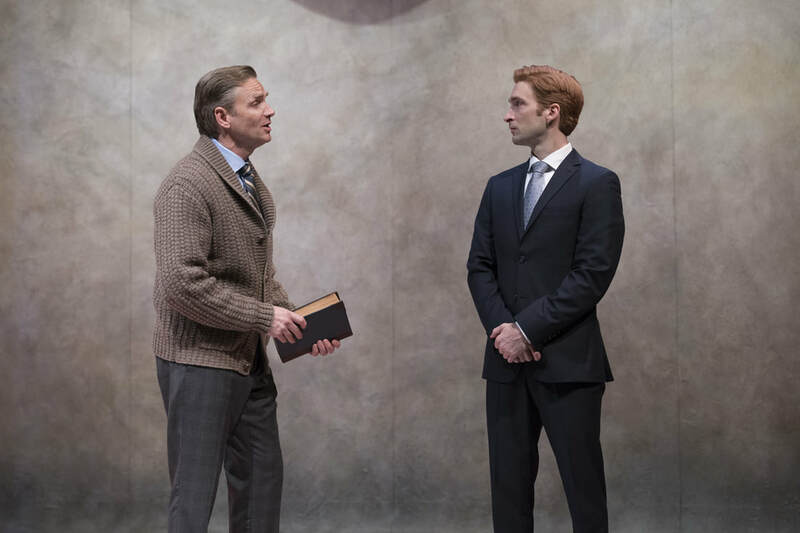 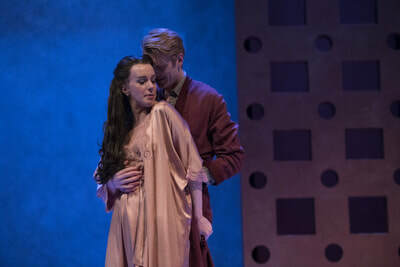 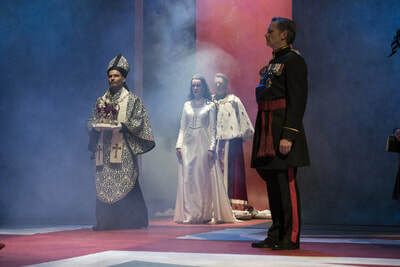 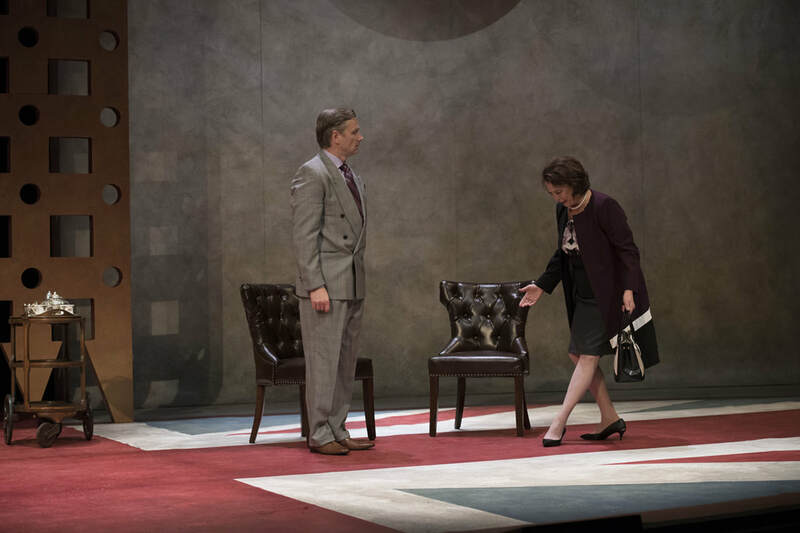 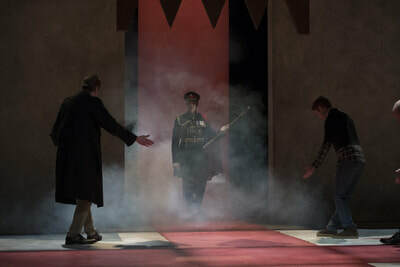 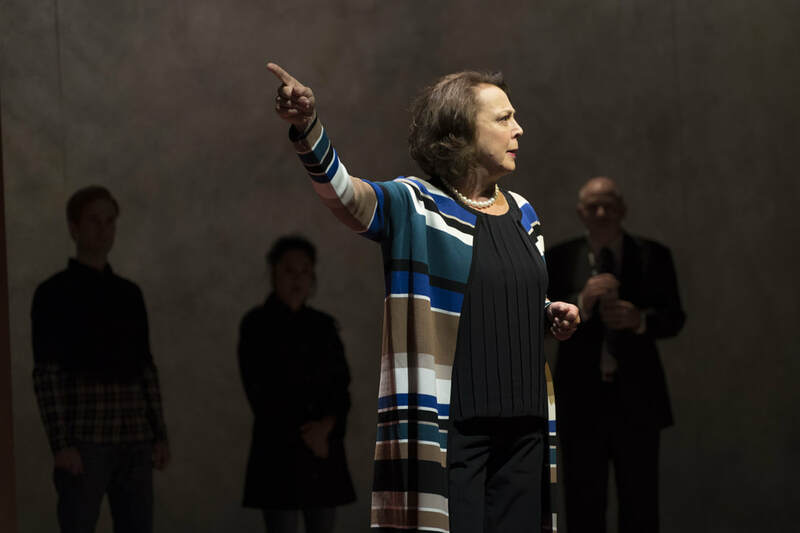 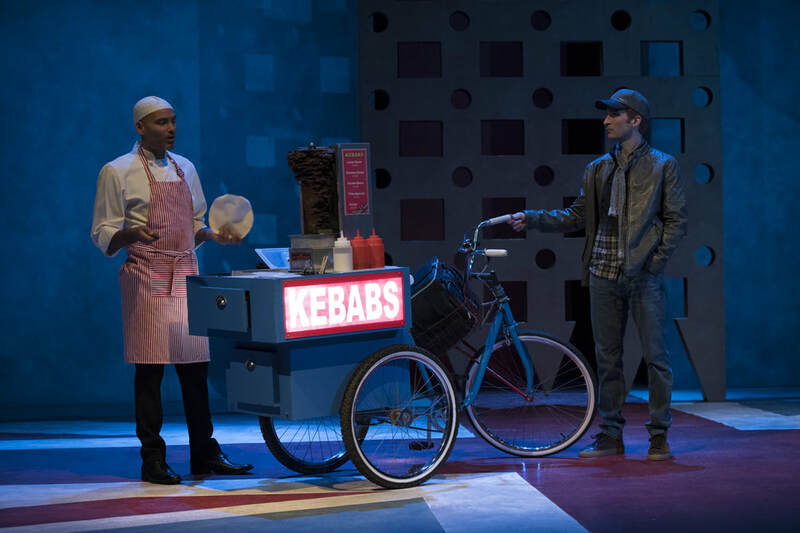 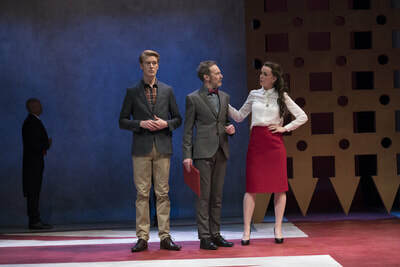 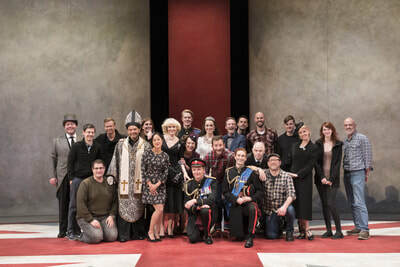 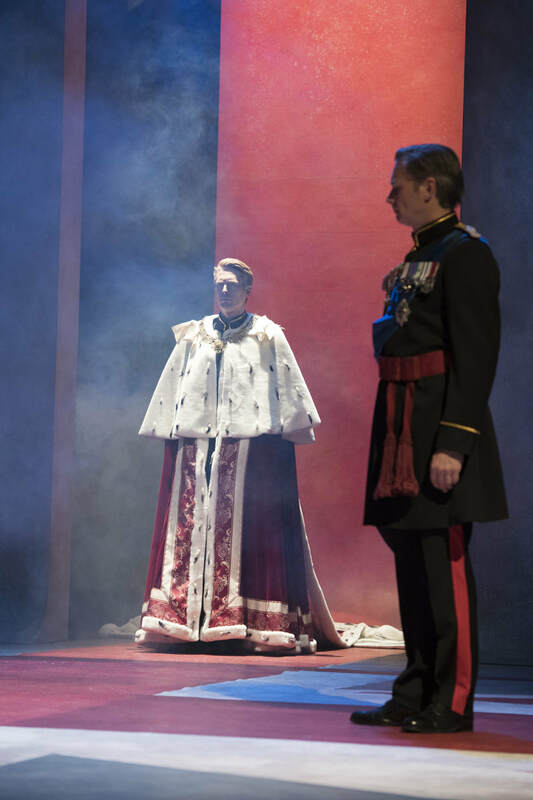 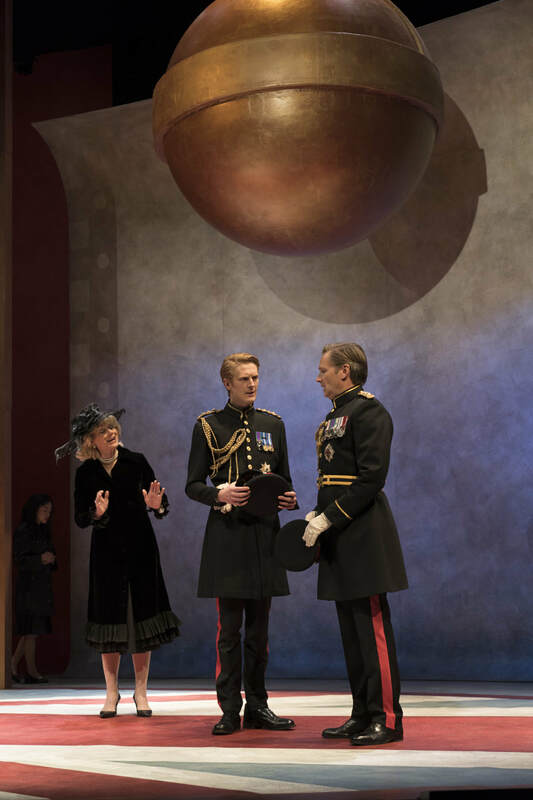 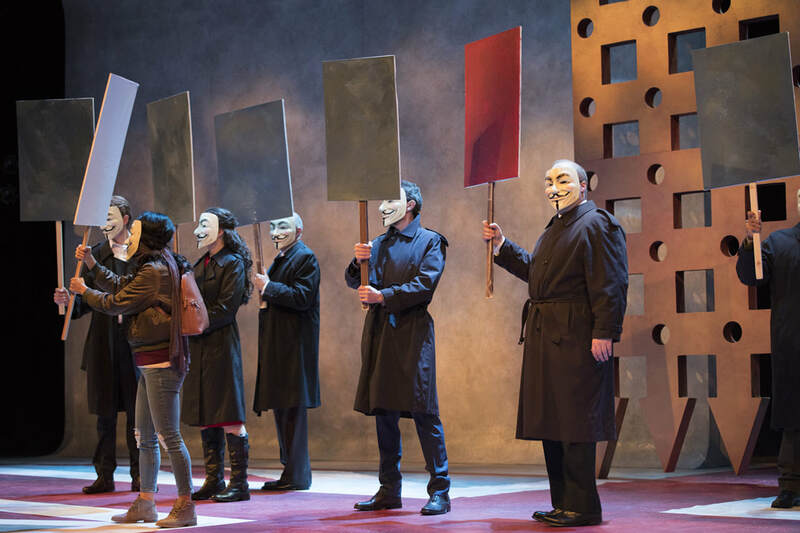 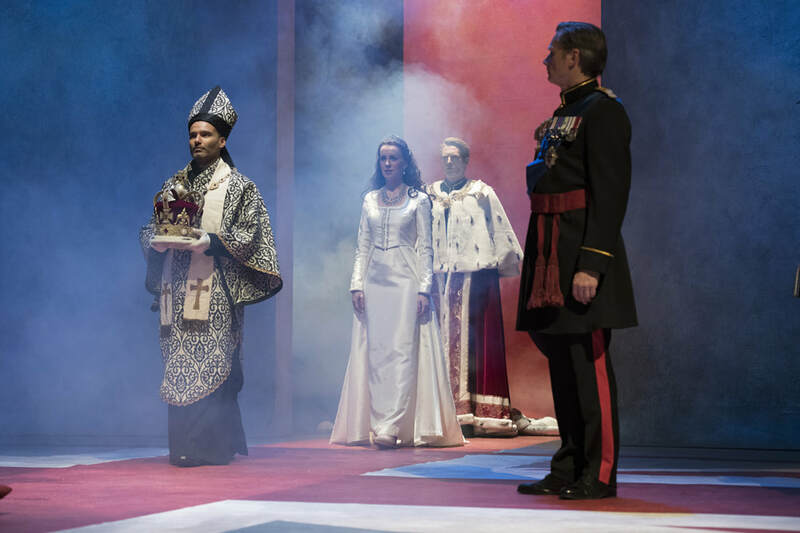 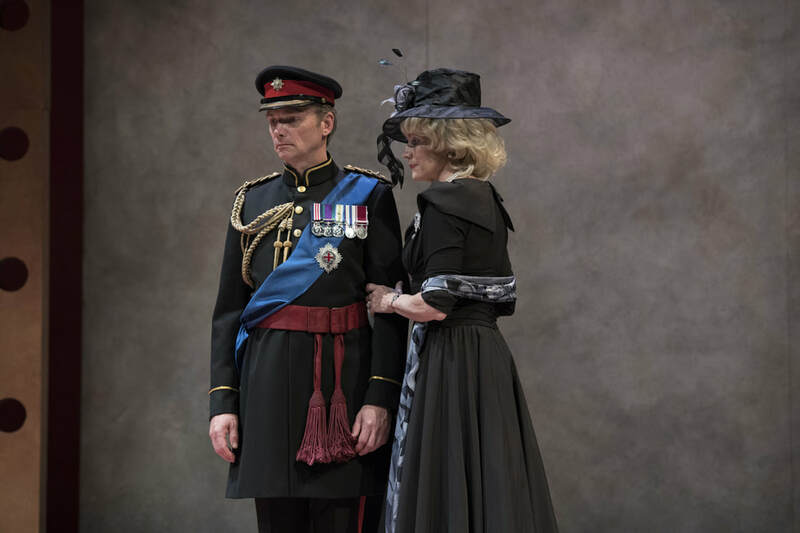 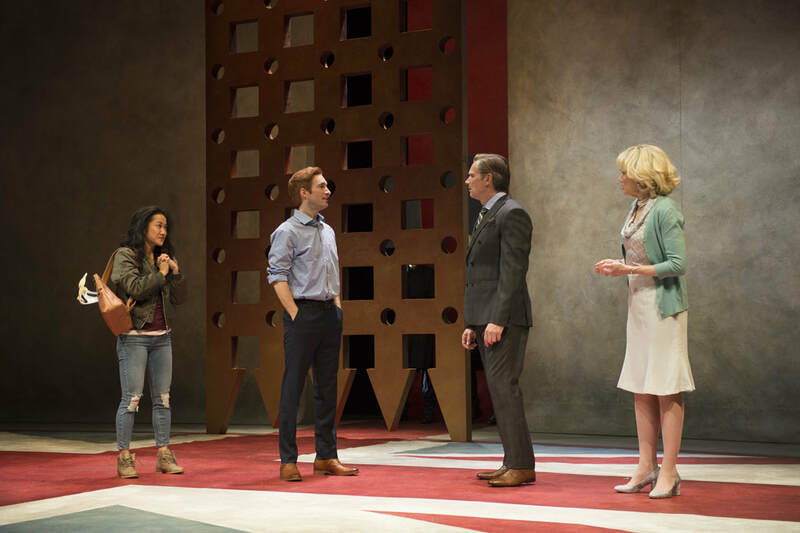 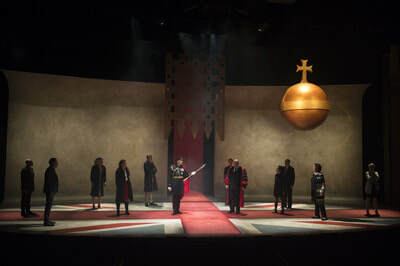 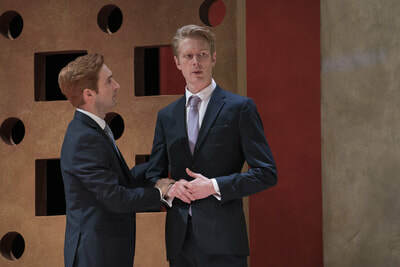 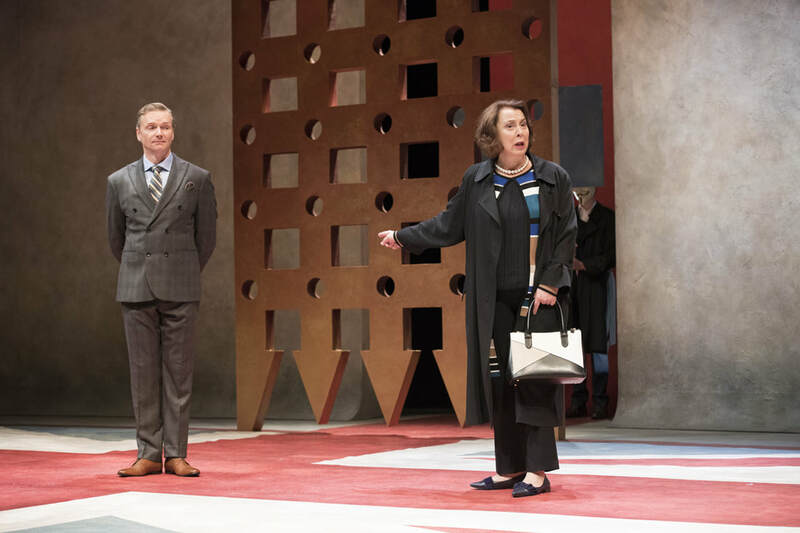 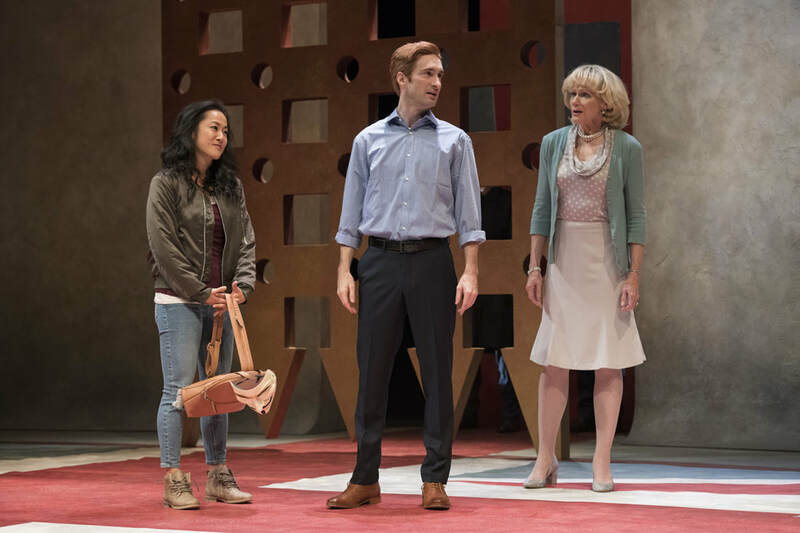 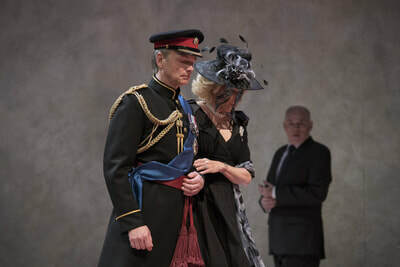 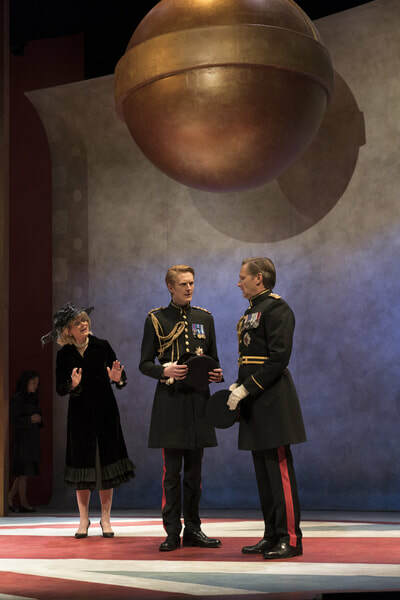 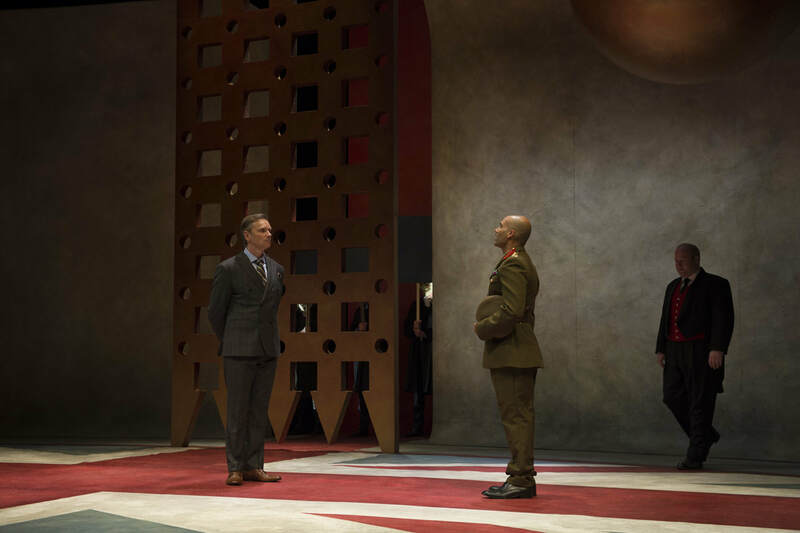 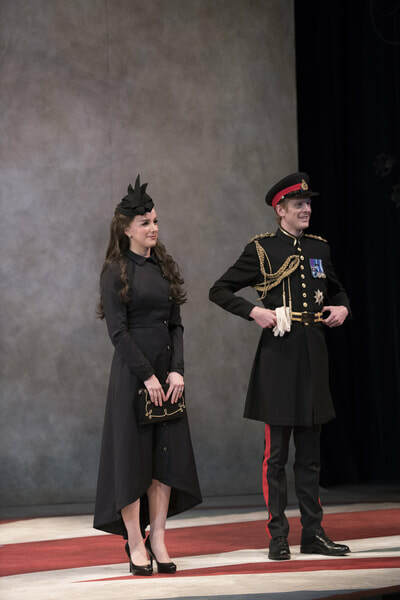 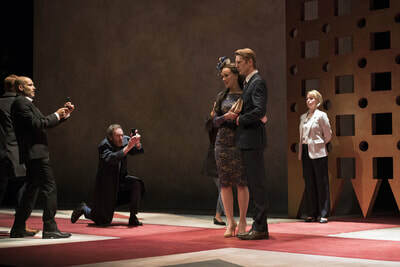 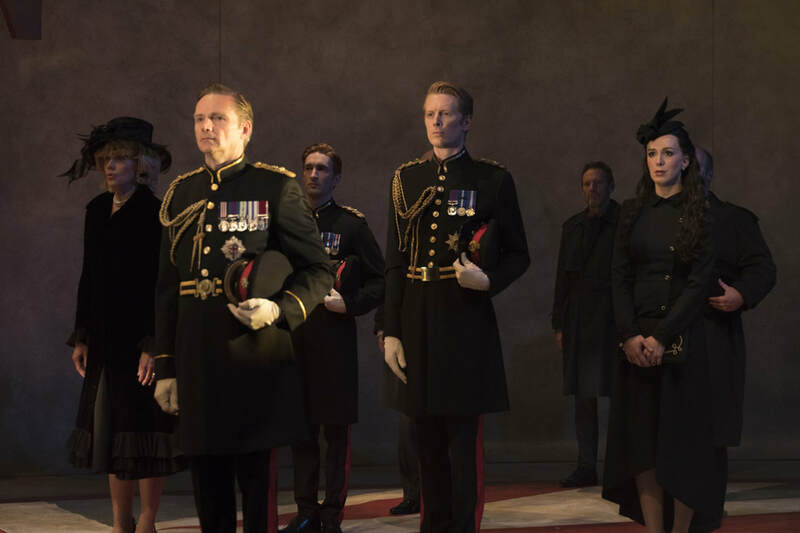 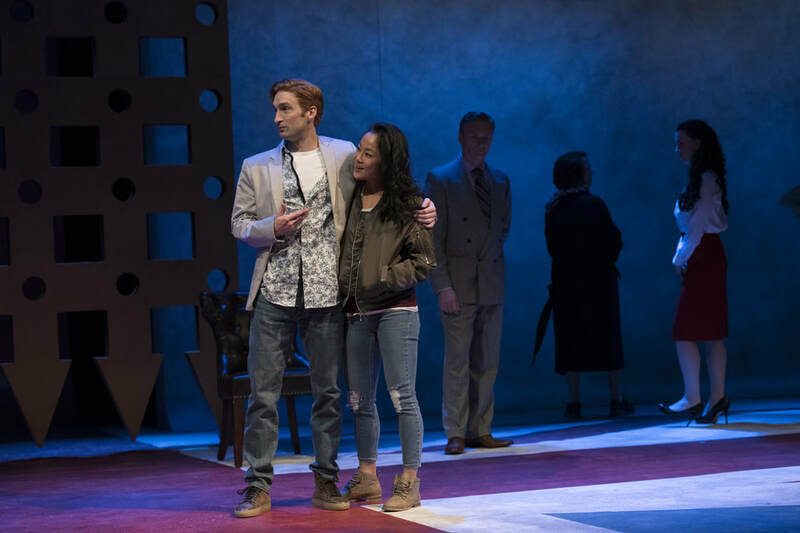 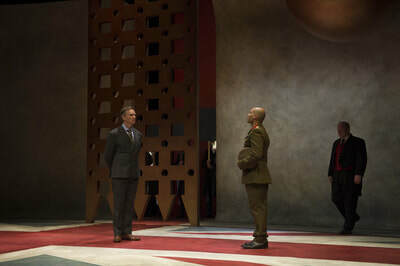 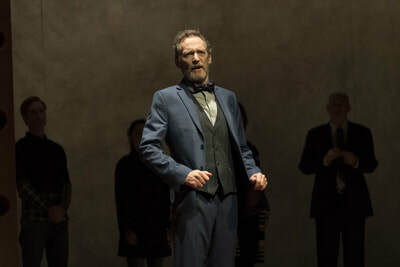 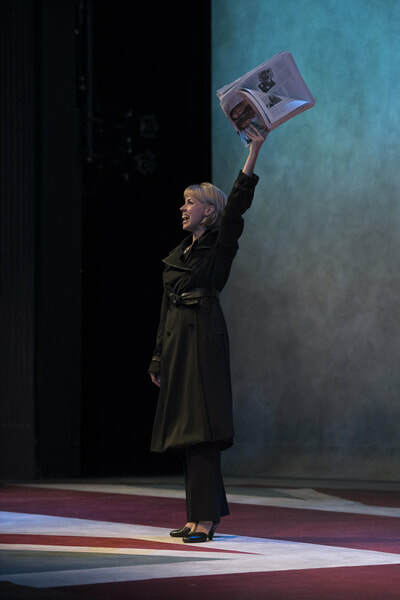 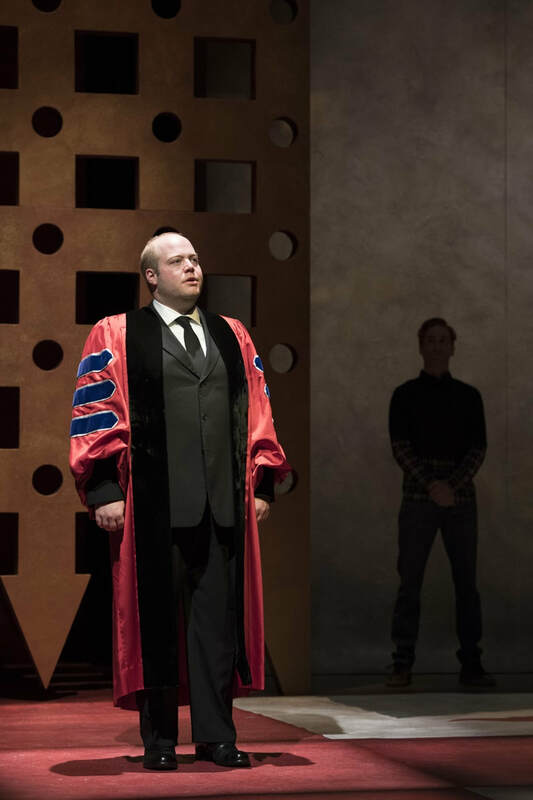 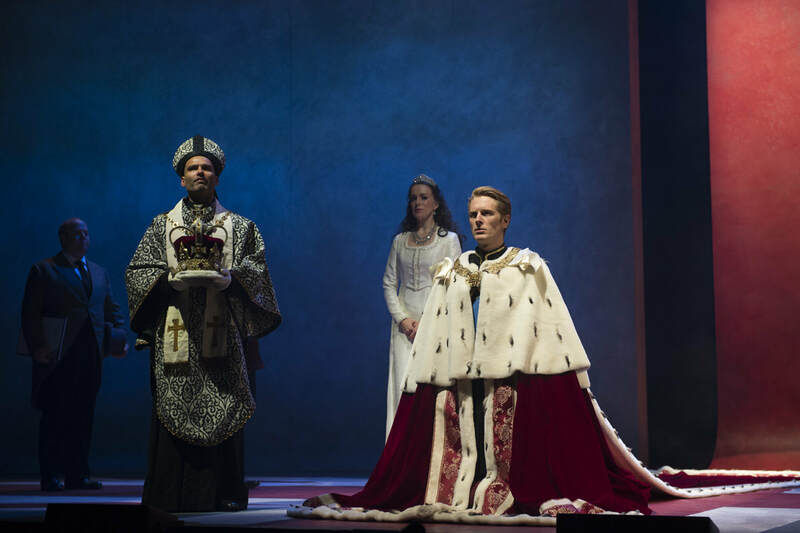 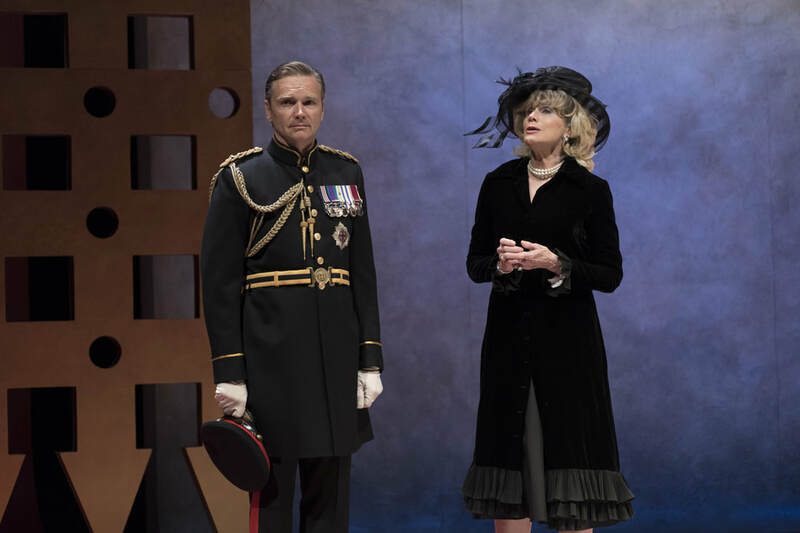 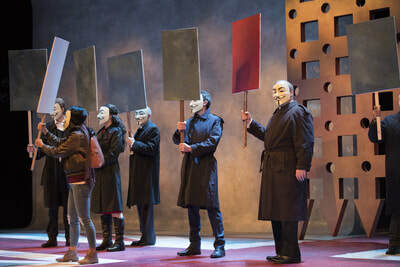 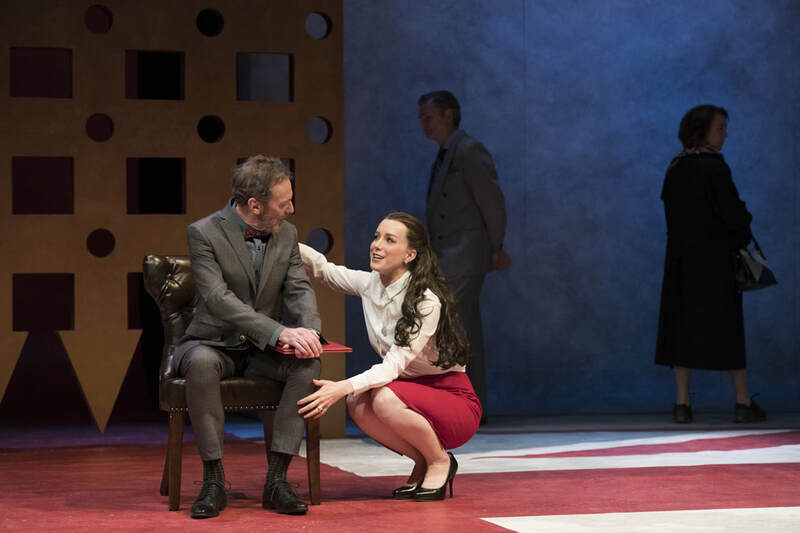 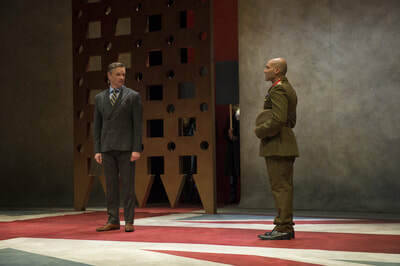 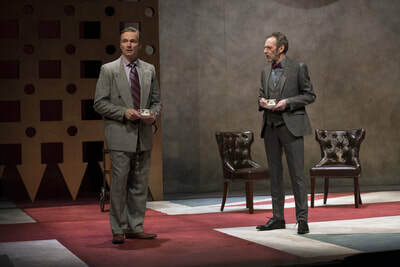 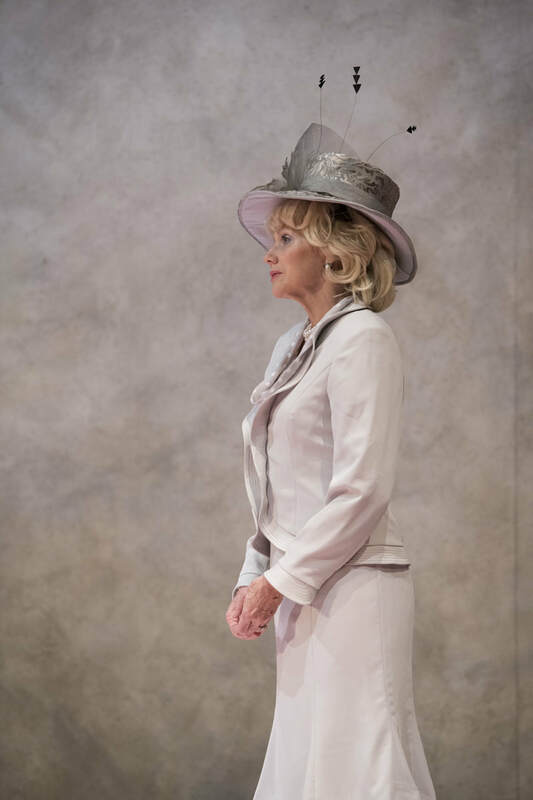 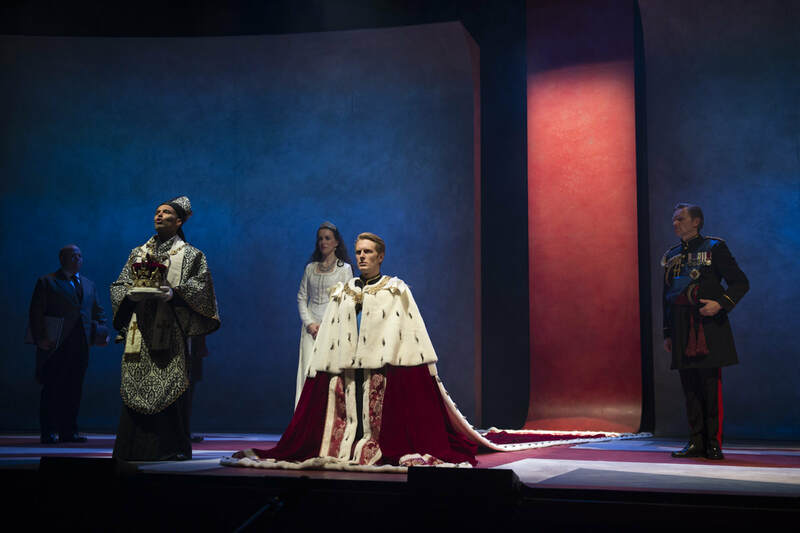 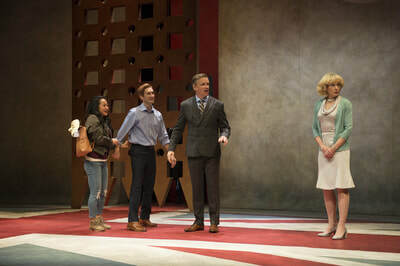 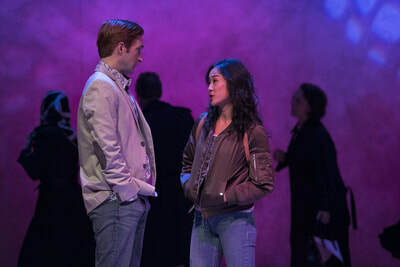 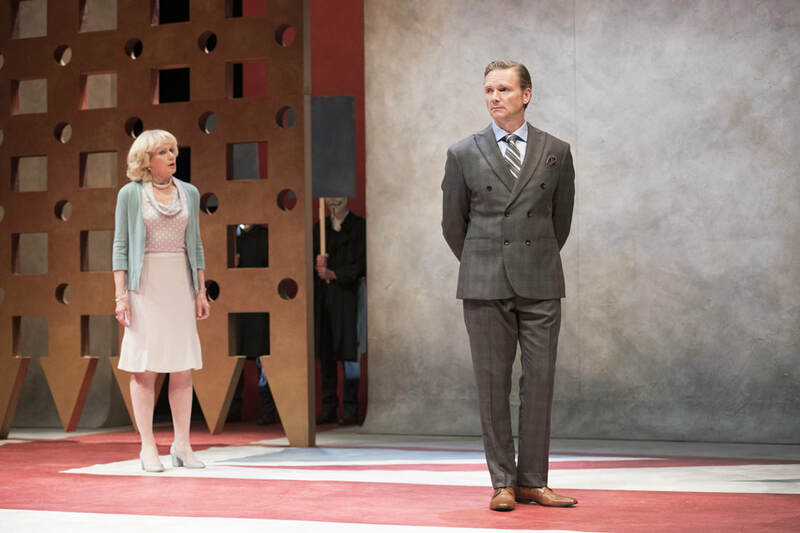 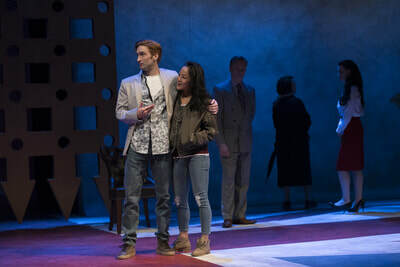 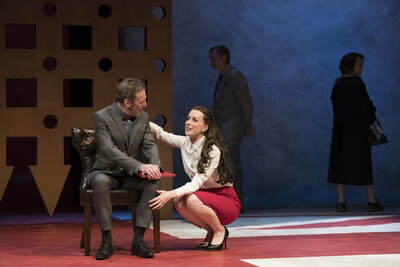 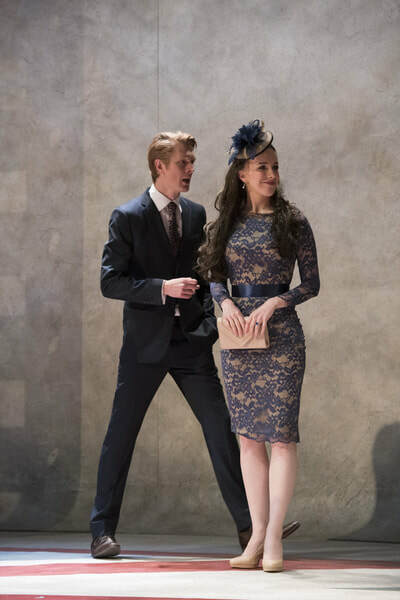 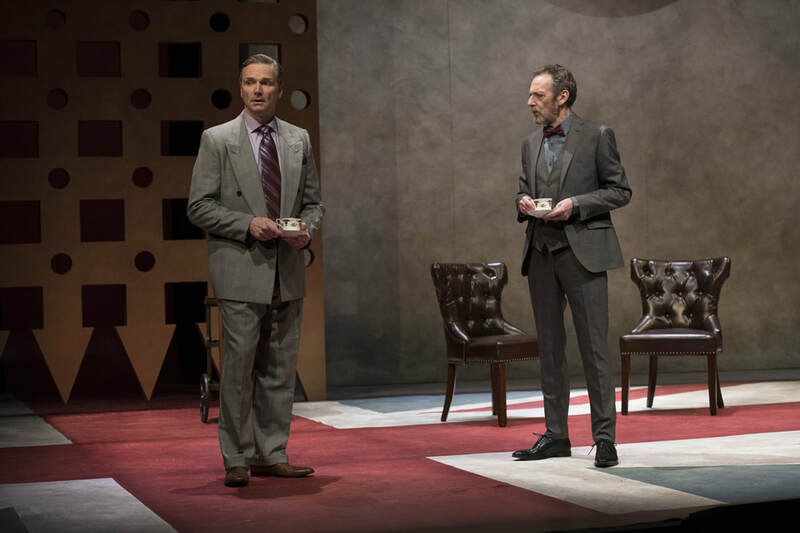 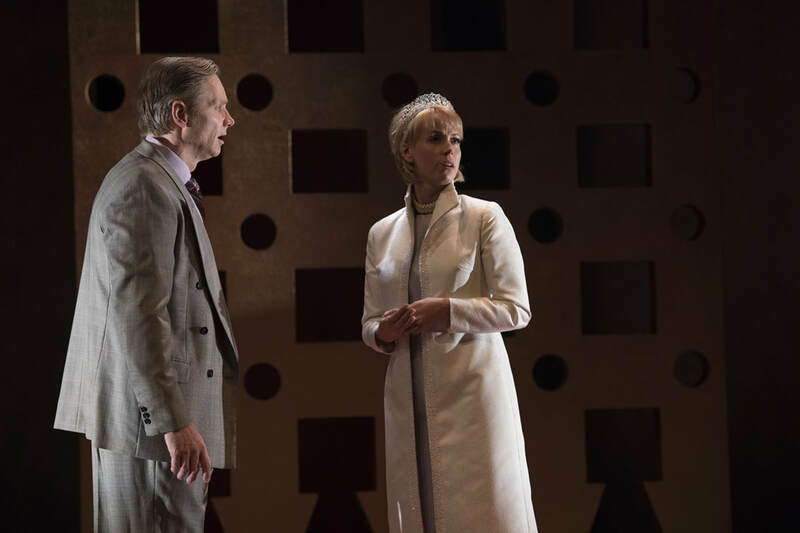 In this inventive story of a king under pressure, playwright Mike Bartlett mixes verse and a structure reminiscent of Shakespeare with British royals we "know" in what director Kevin Bennett calls "a future history." The key as costume designer was to design present day clothing that helped with the recognition factor of characters like Kate Middleton, Prince Harry, Prince William, and Camilla, as well as invented characters but adding just a touch of viewing them through a more "mythic" eye, perhaps seeing the present day as someone might look back on it from hundreds of years in the future.